Chef Dale Talde is not only a talented chef who is known for mashing up Asian and American dishes, but he’s also a total goofball and a lot of fun! These dumplings are inspired by his pork and chive dumplings at his restaurant, Talde. 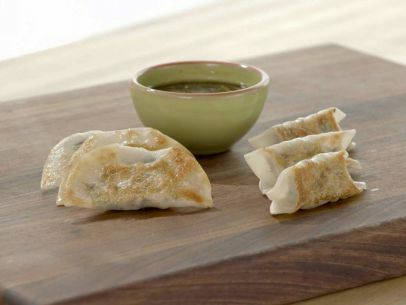 Check out the video below to see several ways to fold the dumplings! Let’s have a dumpling party!